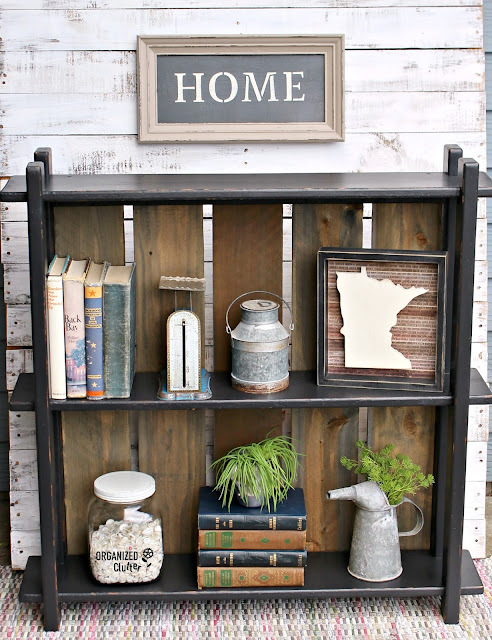 I purchased this wooden shelf last weekend at a garage sale for $5. I think it was a homemade shelf, and the finish was in bad shape. 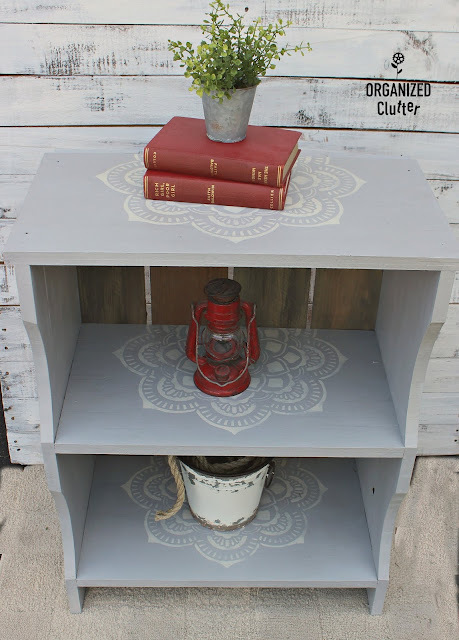 First I brushed on a couple coats of Rust-Oleum Chalked Paint in Aged Gray . 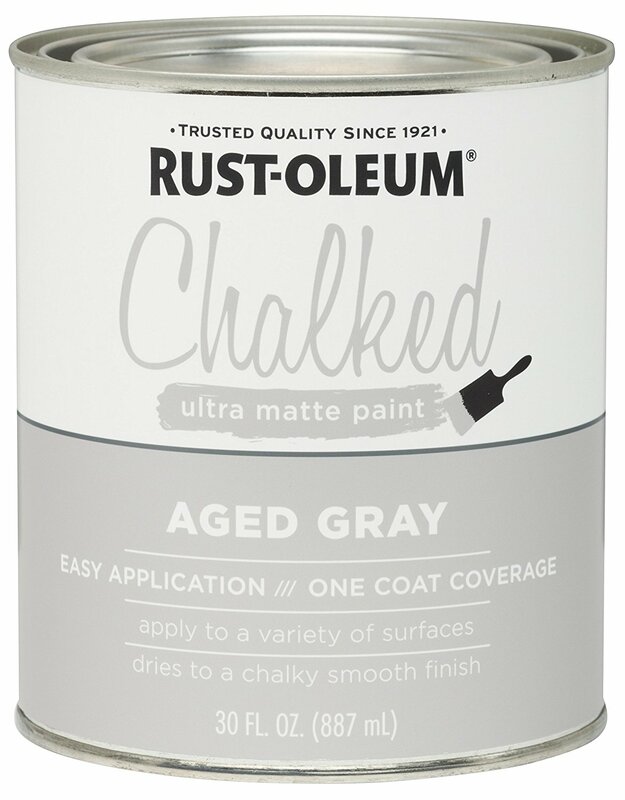 Rustoleum Chalked Paint is a decent chalk type paint for the price. 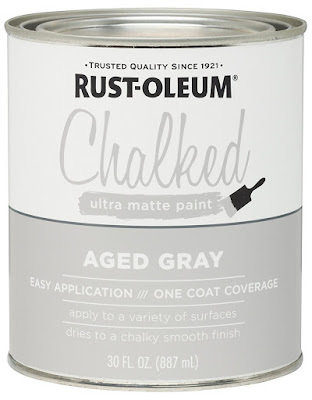 Aged Gray is a light gray. I also decided to add more rough sawn fence boards to the back of this shelf like my recent black bookshelf. 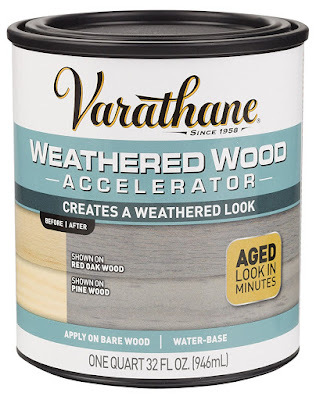 I aged the boards with Varathane Weathered Wood Accelerator . 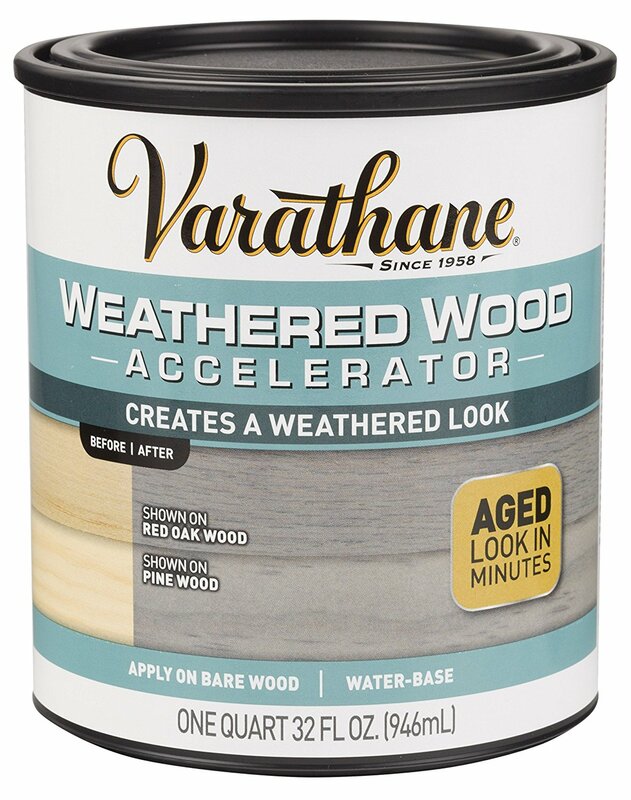 This water based product from Rustoleum works very well on cedar fence boards. I used this large DecoArt 18x18 Mandala Stencil to add a white craft paint design to each shelf. 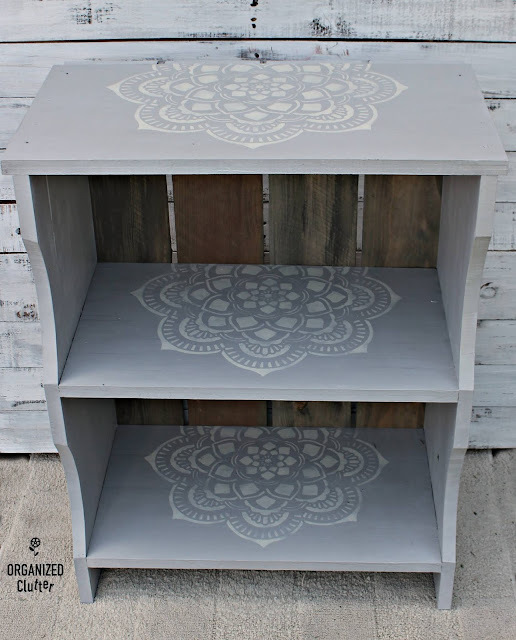 I sealed the chalk paint and stenciling with Varathane Crystal Clear Water-Based Poleurethane in Satin Finish . I did not seal the boards that were treated with weathered wood accelerator. I painted the tops of the fence boards that were flush with the top shelf, and the side fence board edges. 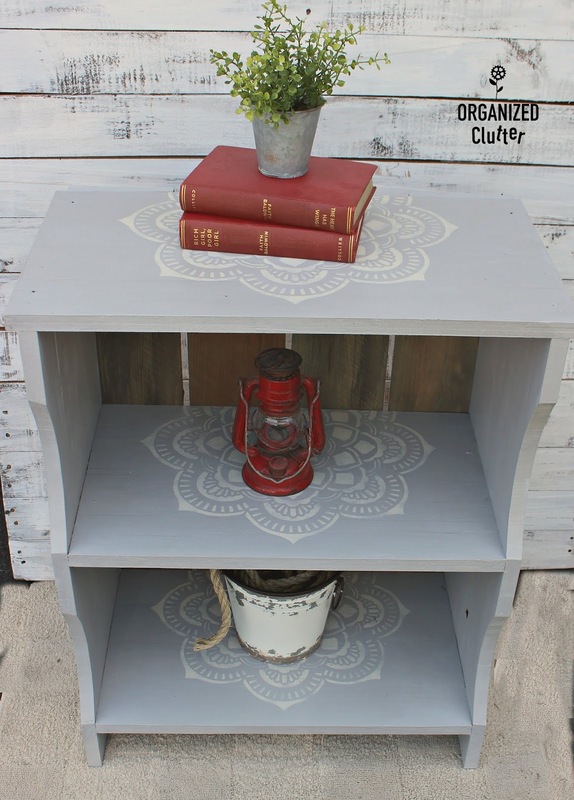 This flowed much better than gray to stain on the side and top. 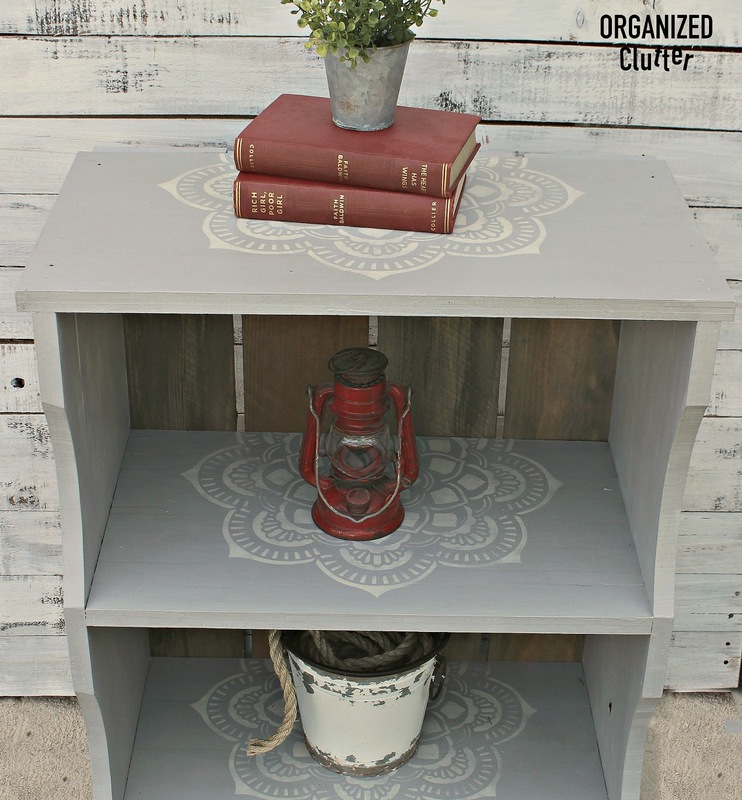 This is a rustic piece that can be used for books or decor or both! 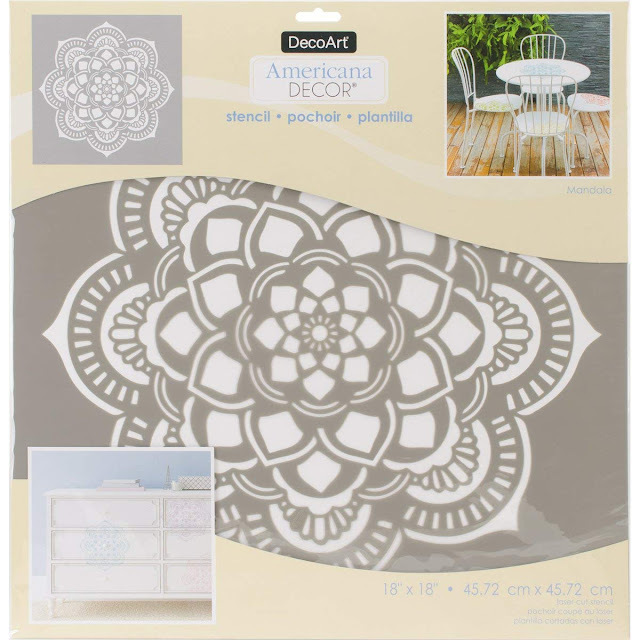 These mandala stencils look like doilies. I love adding a back to open book shelves! Here is another recent book shelf project! 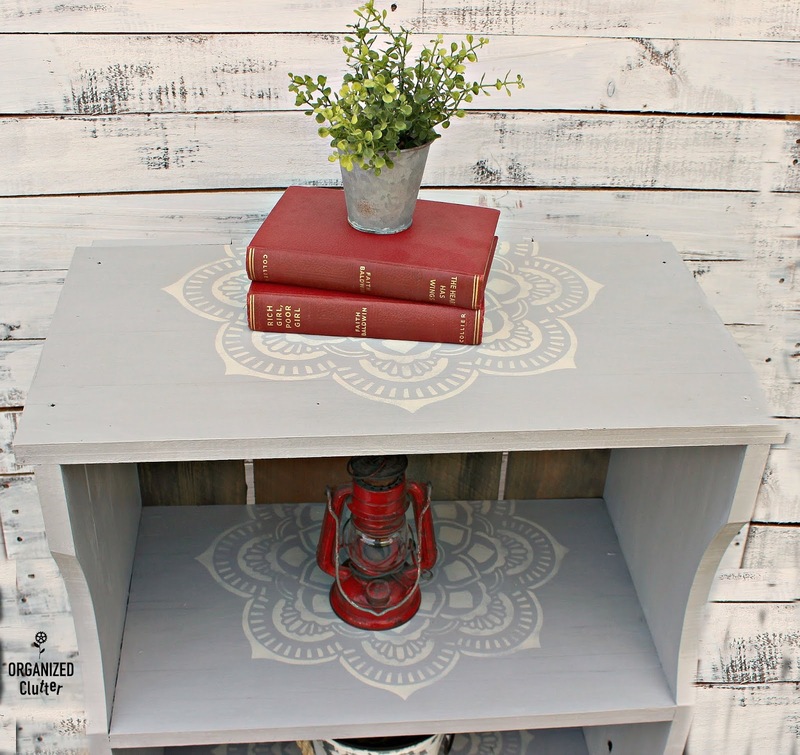 Beautiful upcycle Carlene. The wood back is just what this needed to really make the stencils glow. I also like how you didn't take the boards all the way to the bottom so the shelf can be against a wall without the baseboards interfering with it being close to the wall. You always share spectacular creations! As usual, very nice! I love the way you put the stencil on with it hanging off the back of the shelves. It looks great, Carlene! The boards on the back give it just enough character to make it interesting. And the stenciling look lovely. Wish I had one just like it!